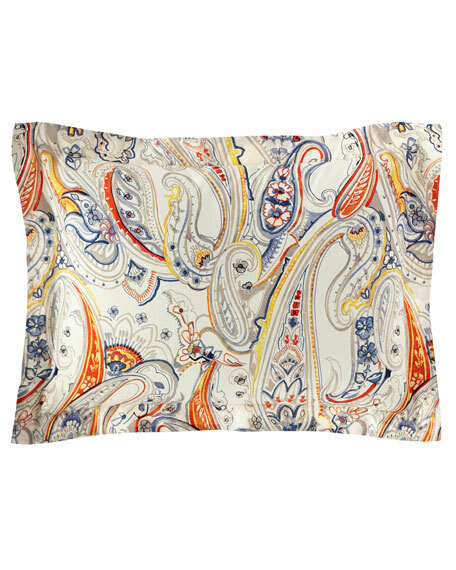 With a hand-painted watercolor paisley pattern in a soft cream-based palette, this sham embodies the artistic spirit and Parisian-chic style of the Rue Vaneau bedding collection. Sham of 140-thread count slub cotton. Buttoned placket closure at the back with signature "RL" buttons.